Philipp Grenzebach, Co-Founder and Business Developer Triangles are very strong and stable shapes, which is why the pyramids in Egypt have stood for so long. Triangles are common in the structures that support bridges. It has also been suggested that the triangle between the Executive, Legislative and Judicial branches of the US government is the reason for the stability of that system. Dentacoin is the first cryptocurrency engineered to use the strength of the triangle to disrupt the global dental industry. In order to understand how it will do this, it is necessary to examine what is wrong with that system as it exists today. A study by the American Dental Association points out that 90 percent of the $440 billion USD in annual dental costs is spent fixing problems that could have been completely avoided through routine care and good oral hygiene. Instead, a constant increase in the costs for patient acquisition is evident, which makes it difficult for dentists to win enough patients and stabilize their income. To support the cost of a fragmented, lengthy supply chain is also a struggle. The current system of tariffs, settlements and insurances forces dentists to think on short notice; prevention and long-term treatment cannot be economically viable. Patients, on the other hand, ignore oral hygiene routines, have problems fixed only when they become unbearable, and then go back to neglecting their teeth until the next problem. Both the dentist and the patient value good dental health, but the system has developed in a way that actually encourages the opposite outcome. The outcome is that 90% of money spent on dental care is wasted. This warped economic system will be displaced by the Dentacoin model. The first leg of the Dentacoin triangle is the Dentacoin’s insurance-like concept, known as Dentacoin Assurance. “We could describe it as insurance only to create an idea of how it works,” says Philipp Grenzebach, Co-Founder and Business Developer of Dentacoin. Like traditional forms of insurance, Dentacoin Assurance requires a level monthly outlay by the patient, who receives all the necessary dental work in return. Both the payment and the care are verified by a smart contract on the Ethereum blockchain, reducing costs and facilitating trust between the dentist and the patient. "The smart contract focuses on the alignment of both parties’ common interest—to maintain healthy teeth and overall oral hygiene"
The dentist is committed to providing all the necessary dental care, so they are financially motivated to keep the patient in good dental health. The Dentacoin Assurance plan requires the patient to visit the dentist on a regular basis, so problems can be fixed when they are still small. Moreover, the patient agrees on fulfilling a 90-days program for establishing dental care habits through using the Dentacoin Mobile app. Dentacoin Assurance gives the patient – who presumably wants healthy teeth – and the dentist a financial incentive to achieve good dental health. The patient can prevent treatment through proper oral hygiene or get early treatment at no additional cost, and the dentist can get a regular income and a regular patient. 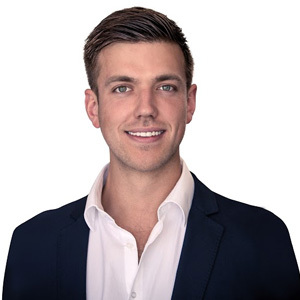 “The smart contract focuses on the alignment of both parties’ common interest—to maintain healthy teeth and overall oral hygiene,” explains Philipp Grenzebach. It has already been mentioned that the practice of dentistry includes a significant amount of time and money spent on marketing, and that the marketing of dental services focuses on fixing problems quickly and painlessly, rather than on establishing prevention-oriented routine and maintaining good dental health. The Dentacoin Assurance plan solves part of this problem by paying dentists for performing routine care, but this second leg of the Dentacoin model goes further and actively markets the dental practice. The leg, called the Trusted Review Platform, embeds unedited reviews of dental treatments by patients, stored on the unalterable Ethereum blockchain. These reviews are the best marketing a dental practice could ever hope for, since potential patients will read first-hand accounts of the quality of care they have received. The smart mechanism of the platform distinguishes standard reviews from trusted ones, which are written by the patient who actually received the care, and the blockchain integration insures the dentist does not edit it or hand pick which reviews to show to the public. This openness also solves another potential problem with the Dentacoin Assurance plan. Keep in mind that the dentist is paid the same amount no matter how much dental care the patient requires, which is another way of saying that the dentist gets paid the same amount for doing no work for the patient. This, after all, is the best economic proposition for the dentist, at least in the short run. It is a shortcoming of a type of insurance referred to as a Capitation contract. However, this behavior by the dentist would be both extremely unprofessional and recorded in the Trusted Review Platform where it would do significant damage to the dental practice. It would also lead to terminating the Assurance contract. In this way the Trusted Review Platform supports both the Dentacoin Assurance relationship and the overall practice itself. Because the dental industry, just like any other service industry, is highly influenced by customer feedback, the Trusted Review Platform has quickly become a proven success. The security and absolute reliability of blockchain to protect reviews from tampering has been recognized by the public. While they might not understand the way in which blockchain functions, the general public has accepted that blockchain can protect information from tampering. Dentacoin’s Trusted Reviews Platform has already created ripples of excitement among dentists. Garnering over 5000 registered users and 700 dental practices on-board, the Trusted Reviews Platform has a user base that continues to grow. As a true global system, the Trusted Review Platform has the potential to add new users and provide a meaningful benefit to the dental practices every hour. The dentist sends a link to their patient, where a review can be contributed. If the patient follows this link to give a review, it attains the status of being a ‘trusted’ one, alluding back to Dentacoin’s foolproof transactions of data. This feedback can be used by the dentist to improve their service quality. The patient is automatically rewarded for their feedback by the Trusted Review Platform. 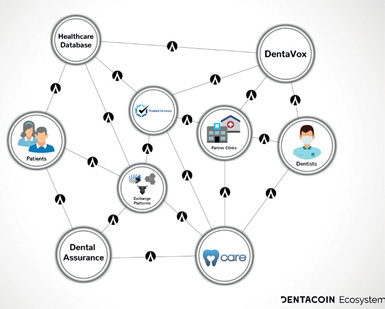 The reward, Dentacoin tokens, can be used by patients to pay for dental treatment at Dentacoin partner clinics, pay for Dentacoin Assurance, purchase dental products or simply traded for cash or other cryptocurrencies on many international exchanges. This payment in the cryptocurrency that fuels the dental care itself represents a full cycle for Dentacoin tokens. This is a critical milestone for any cryptocurrency designed to disrupt an industry. Simply put, to be successful, a currency has to circulate. Everyone receiving the currency has to have some use for it. What can dentists do with their Dentacoin tokens? They can also save them as a source of retirement income, use them to pay employees or to buy dental supplies. The idea of receiving all the dental care they will ever need for a fixed, low monthly fee paid in Dentacoin is obviously a very attractive offer for the patient. The ability to earn additional Dentacoin, effectively receiving their dental care at a discount, is an added bonus. However, the patient also has a incentive to abuse the Dentacoin Assurance plan just like the dentist, again at least in the short run. Fortunately, there is another leg of the triangle designed to address this issue. The patent is obligated to visit the dentist regularly under the Dentacoin Assurance plan, so any problems that come up can be solved while they are still relatively small. These regular visits mean the dentist will see the effects, or ill effects, of the oral hygiene practiced by the patient. However, because the patient gets the care they need regardless of their behavior between the visits, there may be a tendency for the instructions from the dentist to go one ear and then straight out the other. The Dentacoin Mobile App stops that flow in midstream and gets the advice to stick in the patient’s head. It does this using the ideas which won Richard H. Thalers the 2017 Nobel Prize in Economics. The Dentacoin Mobile App gives each user a small “nudge” every day to practice the oral hygiene regimen prescribed by their dentist. When the patient acknowledges that they performed the routine, they get rewarded with a small amount of Dentacoin. These small amounts accumulate over time, and by the end of the third month period the user gets their entire reward. This period is also considered to be the needed time to form a new habit. The reward can be used for the monthly Dentacoin Assurance payment, dental treatment payment, purchase of dental care products, saved for the future or traded on an organized exchange for other currencies. Make no little plans; they have no magic to stir men's blood and probably themselves will not be realized. Make big plans; aim high in hope and work, remembering that a noble, logical diagram once recorded will never die, but long after we are gone be a living thing, asserting itself with ever-growing insistency. Dentacoin was founded with a mission to improve the quality of dental care worldwide, reduce treatment costs and create a global dental community, by putting power in the hands of the people. “Dentistry is the only part of the health care system that consists of many lonely fighters—dental practices all over the world that are not connected yet. Dentacoin can connect these people,” highlights Philipp Grenzebach. Dentacoin exemplifies everything that blockchain stands for—trust, transparency, security, and disruption. With a solid triangle engineered to address the fundamental dental relationship, provide dentists with a reliable way to grow their practices and use ideas developed by a Nobel Prize winning Economist to reward patients, Dentacoin appears well positioned to accomplish these goals.